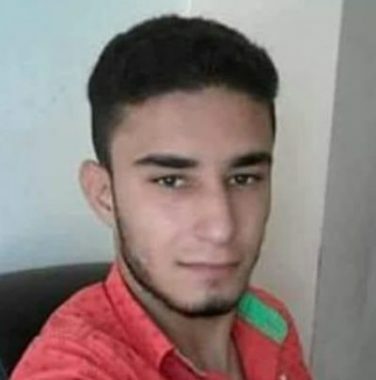 Palestinian medical sources have reported that a young man, died on Tuesday morning, from serious wounds he suffered on May 14, after an Israeli army sharpshooter shot him in the neck. The sources said the Palestinian Sari Daoud Shobaki, 24, was shot during the Great Return March, when the soldiers and army snipers resorted to the excessive use of force against the nonviolent Palestinian protesters, killing sixty Palestinian on the day alone, and wounding more than 2700 others, including hundreds who suffered serious wounds; many of them later died from their serious wounds. 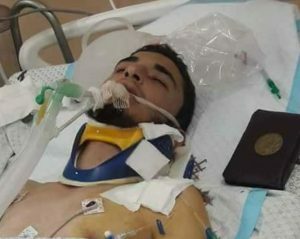 It added that Sari was shot in the neck, and suffered quadriplegia, and was rushed to a hospital in Gaza, before he was moved to a hospital in Jerusalem, but succumbed to his serious wounds on Tuesday at dawn. Several days before his death, his father, Dr. Daoud Shobaki, appeared on video next to his son at the intensive care unit trying to communicate with him, and encouraging him to speak and smile. On Saturday evening, July 14th, the Israeli Airforce carried out, on Saturday evening, several airstrikes targeting Gaza, killing two children and wounding at least twenty-five Palestinians in Gaza city, when the missiles struck a building next to a public green park, filled with people. 380 of the injured Palestinians suffered serious wounds. Attacks against medical personnel led to the death of two medics, and caused injuries to 320 others. Attacks against the Press led to the death of two journalists, and caused injuries to 175. Israeli army fire also caused partial damage to 45 Palestinian ambulances.